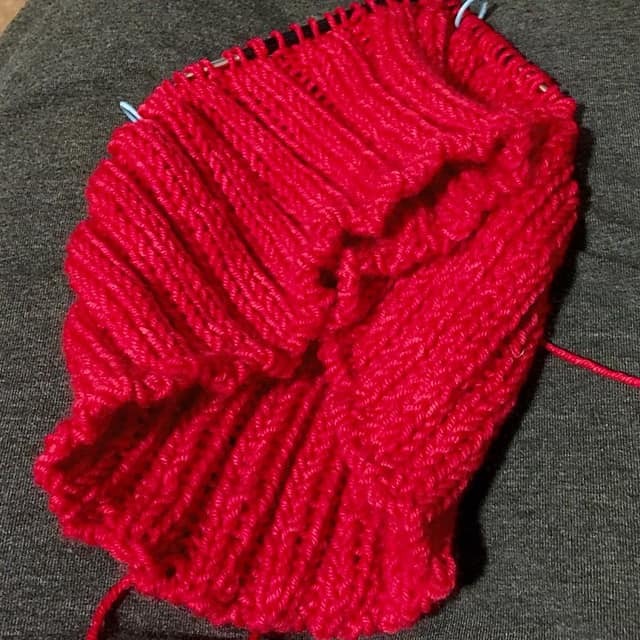 I'm shamelessly ignoring Vodka Lemonade, she of the miles of stockinette (and I haven't even reached the sleeves) to get started on Aster and knit up the Zissou hat. Zissou is fast! Just a couple more inches and I'll be ready to decrease. Although it wasn't the perfect cast on for this odd 3 knits and 2 purls rib, I got a reasonably good result out of a modified alternating cable cast on, and it's a lot of fun to do. Good directions for alternating rib here and for modifying it for ribs other than 1×1 here. Aster was a problem for me to swatch. I've gone down several needles size and will have to switch sizes for garter and stockinette to get the fabric I like. Here's to hoping my math-fu is faithful enough to account for my wonky gauge. The intended recipient certainly seems happy with it! I'm excited about these two new projects.